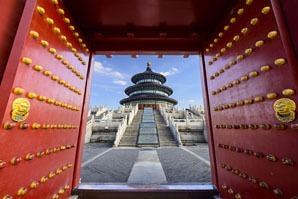 We understand planning a trip to China may seem daunting, even if you are an experienced traveler. Don’t worry! 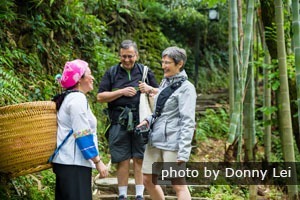 Below are seven simple steps to planning that first trip, from our experience of designing over 100,000 China tours. With our knowledge of China and feedback from our customers, we suggest you visit Beijing, Xi’an, and Shanghai for your first trip, extending it to Guilin and/or Chengdu if you have the time. 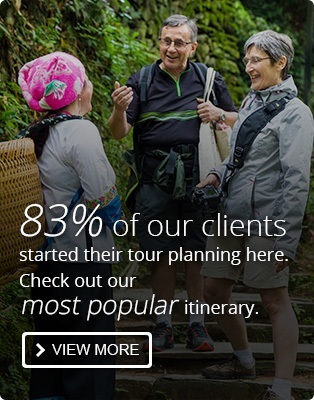 Your itinerary should be based on your interests. Consider whether these are where you want to go, and what you want to do there. As one of the world&apos;s great ancient capitals, and the modern era capital of China, Beijing is a must-see, because it is home to many of the finest icons of China&apos;s imperial and recent past. Next you should discover where the nation of China really began. Visit Xi&apos;an, where First Emperor Qin (pronounced Chin, hence China) ruled from the first capital of a united China. 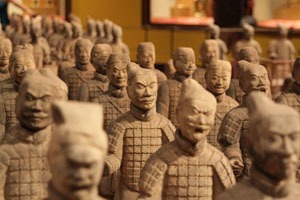 See his grand Terracotta Army. Xi&apos;an is an excellent place to experience something of the pre-Beijing dynasties. Enjoy a Tang Dynasty banquet and show, and see temples, a mosque, pagodas, and towers that are more than 1,000 years old. 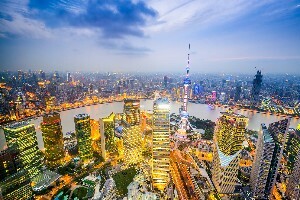 Shanghai is China&apos;s largest city, and many would say must be visited for its significance. There aren&apos;t so many world-class tourist sights, and it could be toured in a day. Make sure you see the colonial and sky-rise architecture of the Bund. The record-speed Maglev to/from the airport is recommended. Shanghai is a convenient city to arrive at or depart from. 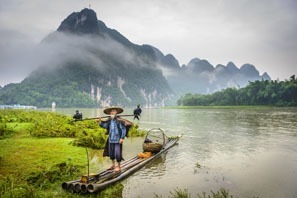 Guilin has some of China&apos;s most famous scenery: karst peaks combine sublimely with the Li River. 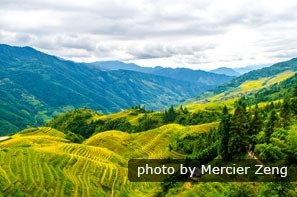 Also cycle around the idyllic countryside in Yangshuo, and visit Longsheng to see the rice terraces and long-haired Yao minority women. 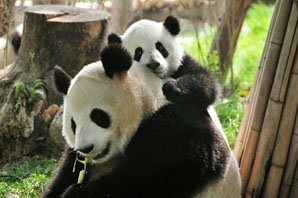 5) Chengdu — the hometown of giant pandas! Chengdu&apos;s giant pandas are for many the icing on the cake, the finishing touch to a China must-do list. In this laid back city, you can take part in a giant panda volunteer program, see cultural landmarks, and try spicy Sichuan hotpot. 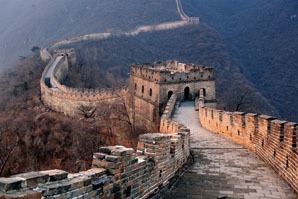 For more ideas about places to visit, see The Top 10 Most Popular Tourist Destinations in China. 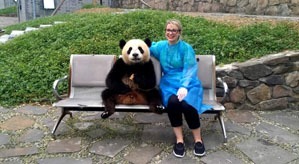 Get closer to giant pandas with us. After a long journey to get to China, you probably won&apos;t want to just scratch the surface of China and just take snapshots with the landmark attractions. We suggest you take at least a week for your first trip to see a spectrum of the highlights in the top three cities. 6–8 days: Beijing (3-4 days), Xi’an (2 days), and Shanghai (1-2 days). See our sample itinerary for inspiration. To discover more of China, like charming Guilin and lovely giant pandas, you will need a few more days. You may be constrained to a certain time of the year for your trip, so you’ll be glad to know China&apos;s cultural and historical attractions are good for a visit all year around. Things to do in Beijing, Xi’an, Shanghai are seldom affected by the seasons. If you particularly care about the weather, we suggest you to come during spring and autumn, when the weather is warm and comfortable in most of China. If you are considering going for the scenery and more remote attractions, the local climate is more likely to affect your experience. 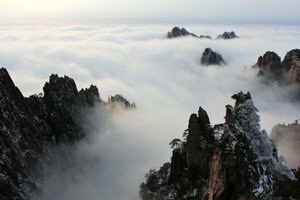 You can get more detailed tips on Best Times to Travel to China. High-speed rail is a popular way to travel in China. China’s travel infrastructure has developed greatly in recent years. The major options for intercity transport are flights and high-speed trains. 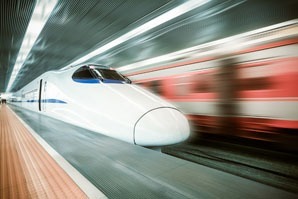 Taking a bullet train running at more than 300 km/h is on the to-do list of many customers. Trains cost 100–300 USD between major cities like Beijing, Xi’an, and Shanghai; flights 300+ USD. Prepare your passport and visa to travel to China. Beijing and Shanghai are the top gateway cities for international flights. Most customers chose them. 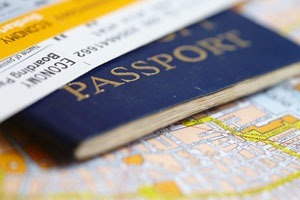 China has visa-free transit policies for certain cities and regions. Learn more about visa- free Chinese cities to know if you could make a visa-free trip. Some customers travel via Hong Kong (it’s attraction-packed; exotic, but very foreigner-friendly) — some of them to open up visa-free travel options, e.g. NY–HK–Beijing–NY or London–Beijing–HK–Xi’an–Bangkok–London. Most multi-city China tours require a tourist visa, e.g. Beijing–Xi’an–Shanghai. If that is what you can see yourself doing, see our guide to Chinese visas. 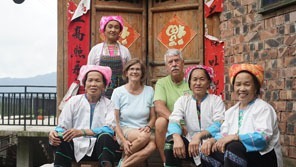 Visiting a local family with a guide, you can get close to their life your way. Do you want to visit the Great Wall of China with a coach-load of 40 people, and have only 20 minutes on the wall? A private, tailor-made tour is a better choice. Our tailor-made service means you can ride a sidecar through the ancient alleys of Beijing, or walk on the wilder and more untouched Great Wall, or visit a local family with your own local guide. Your first trip to China should only ever be all that you want it to be. We can help you tailor-make a first time tour from scratch, doing the things you want in the order you want. 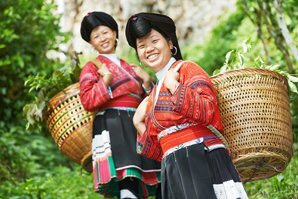 Visit ethnic minority villages in Guilin, and experience their culture with us. Our tours can be customized according to your interests and requirements. Our consultancy and tour design service are well worth taking advantage of. Visit our China tours for 2019 for more tour inspirations. Make sure your SIM card is compatible on a Chinese network if you plan to use it. See How to Phone in China. Much of the web is blocked in China: Google, Facebook… Read more on Internet Access in China. Voltage and sockets may be different. Prepare an adapter for your electronics. See China Power Supply and Adapters. It will help to be able to say things like “please”, “hello”, and “thank you” in Chinese. See 10 Essential Phrases for Tourists in China. Major credit/debit cards are only accepted in some star-rated hotels and large department stores. Chinese cash is easy to obtain though. See A Practical Guide to Using Chinese Currency.